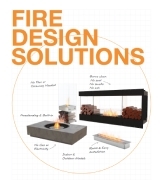 EcoSmart Fire brings fire design to life. Whether tackling a new commercial project, creating a unique residential outdoor feature or remodelling an existing fireplace, EcoSmart gives you the tools to bring your vision to stunning reality. Our extensive, versatile range of indoor and outdoor design solutions combine innovative industrial design with user-friendly functionality. 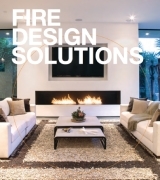 EcoSmart Fires are endorsed by some of the industry’s most respected leaders. Learn about their design briefs, construction challenges and project outcomes in this series of picture-rich case studies and gallery of the myriad installations worldwide, not to mention a snapshot of just some of the brands and establishments that we've worked with over the past 12+ years. solutions for the most discerning customer. 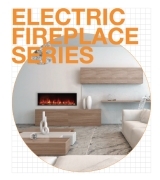 The EcoSmart Fire was launched onto the global stage in 2004 and there been thousands of ethanol fireplace installations in residential and commercial properties across 75 countries. 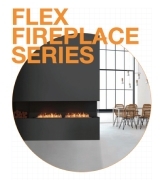 EcoSmart Fire modern fireplace solutions are the product of choice when it comes to leading hotels and establishments around the world. Researched and developed by our in-house design team, tested by independent facilities, and fabricated according to our own exacting standards – an expression of our commitment to creating the best. Our team works closely with professionals such as architects, designers, landscapers, builders, developers and, of course homeowners to ensure the most appropriate models are selected. Fuelled by the renewable, and globally popular fuel, bioethanol, EcoSmart Fire is the fire of the future. Choose e-NRG - the best fuel available.